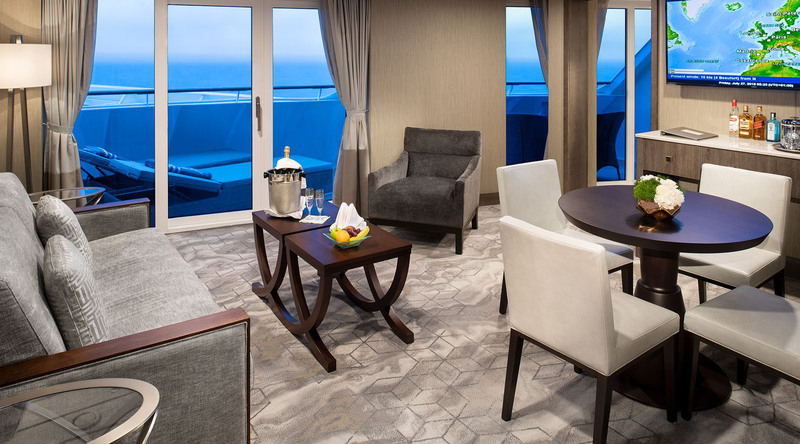 When you step inside your Club Ocean Suite, you step inside a large suite with elegant, contemporary décor. 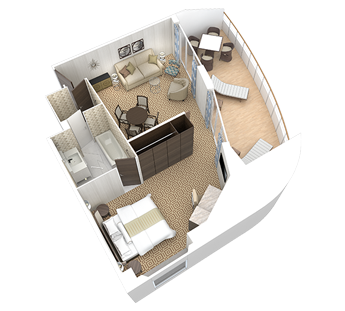 These suites feature new furnishings and wallpaper, plush carpeting, writings desks and more. 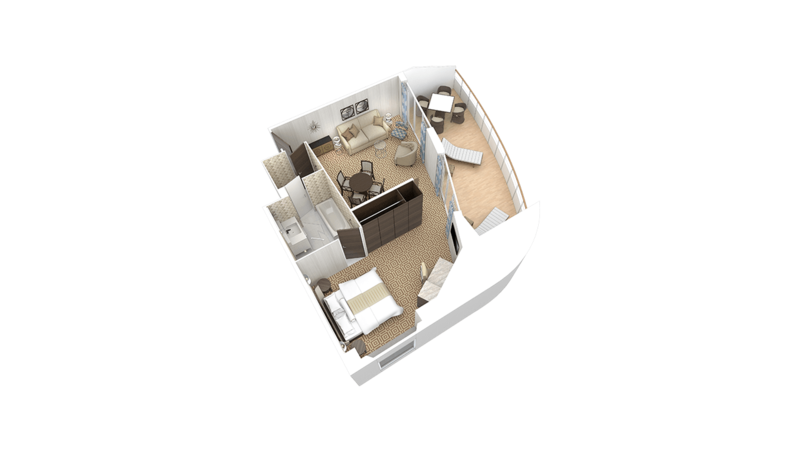 With a large living room and a separate bedroom, and floor-to-ceiling sliding glass doors that open to your own private veranda, your suite will be a wonderful respite from your many experiences on land. Marble master bath and dressing room with vanity make it easy and comfortable to get ready for the day—or for an evening dinner out. 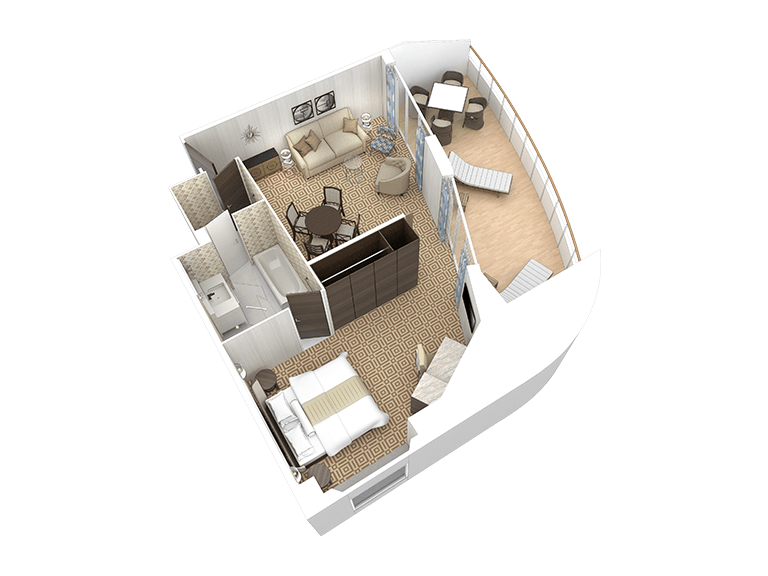 Large flat-screen television, mini-bar, and other fine amenities add to the comfort of the suite. 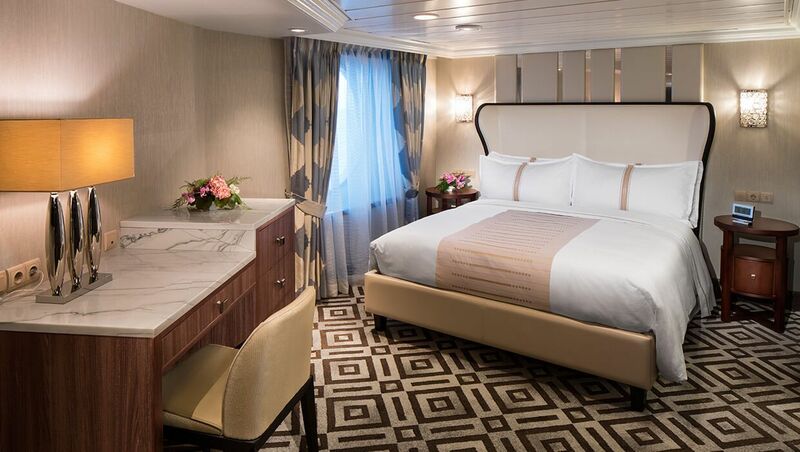 You’ll be spoiled by the attention to detail in these beautiful suites, and of course, all the pampering, too. 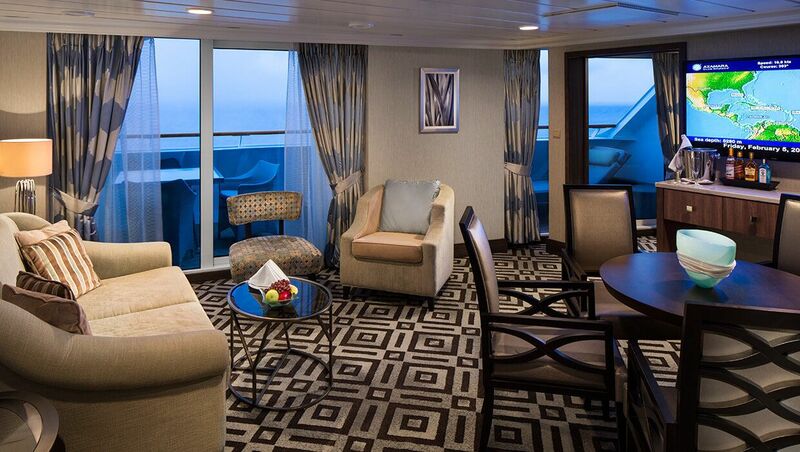 Book a Club Ocean Suite on your upcoming Azamara voyage and receive $300 onboard credit.